If you have a video fiber extender, you may sometimes find it doesn’t work as expected, expecially the first time you connect it. Such questions as not working properly, or optical light is not on etc. In a word, there will be some technical issues need to be consulted after you have connected the video fiber extender or during testing. It is inconvenience to define the problems due to the geographical limitations so that sometimes a simple problem has to spend a lot of time and effort. For the convenience of our customers, Fiberstore summarize some past experiences of solving the problems on video fiber extender and tell you how to troubleshoot the glitch of the Video Fiber Extender Quickly during your installation and testing. Let’s explore together in this paper. Firstly, we should confirm that power supply is normal, and then ensure the entire signal whether is connected correctly. After the above two steps, if it is still no a display screen, we could disconnect the fiber optic connector end of the device and remain cables and power unchanged. If the creen displays ”snow”after the fiber being disconnected, it indicate the optical fiber connections is normal before disconnecting the fiber. In general, “snow” may also states that screen works normally. Receiver not receiving a sufficient amount of an optical signal may occurs this issue. Please try to connect the fiber to the receiver again. If the screen is still black, we could confirm that the video fiber extender has no video input signal or is wrong by itself. On the other hand, we should check the video input on the transmitter. Firstly, disconnect the signal source from the optical transmitter, and connected it to the screen directly with a video cable. If the screen is working, replace the optical transmitter. If in the case of fiber disconnected, the screen remains blank, you need to check whether all connections of the screen are correct. If all connections are no problem, replace the receiver or screen and have a try. About the “snow”, there are some method to deal with. If there is “snow” in the video images, detect optical power into the receiver with an optical power meter. If the optical power in line with the requirements of the receiver, there may be a problem of the receiver. Replace the receiver and have another try untill you solve the problem. If the problem still exist, replace the transmitter and have a try. If the optical power of the receiver below the calibration value, you could check the transmitter light output with a power meter and fiber optic jumpers. If the output meets the specifications, it may be an optical fiber or optical connector problem. Clean the optical connector and verify that you make the correct choice of optical transmitters based on the type and length of the optical fiber connection. If the light output is still low, you should replace the transmitter. Firtly, we should confirm that video fiber extender works normally which indicates that the fiber is available. The bigger the fiber attenuation, the greater the loss of video is than the lost control data of PTZ. Before PTZ control signal transmission, check TD (data activity) LED light on the receiver. Normal situation is that when the data transfer, the indicator light or flash following your operation. If it is not, the problem source will be the receiver. The problem will be obvious when you get a replacement of a same type of receiver. If you still have any question with your Fiberstore’s video fiber extender and can’t solve it according to this paper, you could contact us by log in our website: www.fs.com or send E-mail to us. Fiberstore is always your good alternative for your video fiber extender demands. This entry was posted in Fiber Optic Transmission, Video Multiplexer and tagged video fiber extender on September 30, 2014 by Admin. In the long-distance optical fiber transmission,the fiber cables have a small effect on the optical signal transmission,the transmission quality of optical fiber transmission system mainly depends on the optical multiplexers’ quality,because optical multiplexer is responsible for electrical/optical and optical/electric conversion and optical transmitting and receiving. Optical fiber multiplexer as terminal equipment of transmission optical signal, usually used in pairs, divided into optical receiver and optical transmitter, optical transmitter is used to convert electrical signals into optical signals to realize electrical/optical conversion, and the optical signal input optical fiber transmission.Optical receiver is used to restore a in the optical fiber for optical signal into electrical signal to realize optical/electric conversion. It’s fit and unfit quality directly affects the whole system, so you need to know something about the performance and application of the fiber optic multiplexers, it can help you better configuration and procurement. 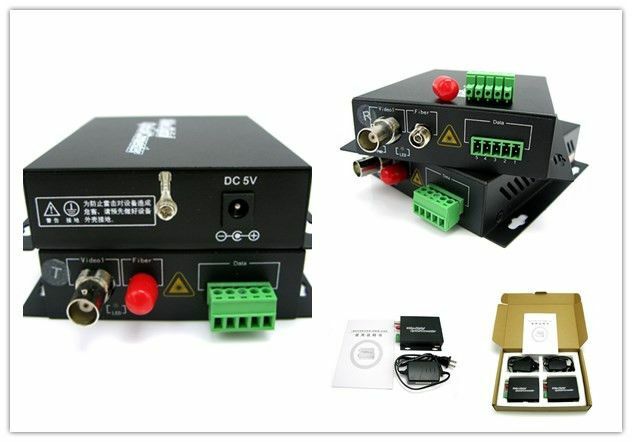 Fiber optic video multiplexer is used to transform video signals to fiber optic signals, it is analog fiber optic video multiplexer and digital video multiplexer, the digital one is more and more used and it is the popular model in current market. This product is generally used in security applications to control and monitor the video camera signals. Fiber optic multiplexer technology serves single-mode and multimode optical fibers with multichannel rack mount or standalone units. 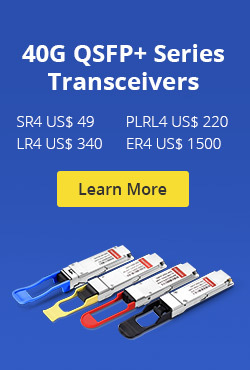 Multiplexers aren’t only for connecting multiple devices across a network. Multiplexers are also commonly used to distribute data from a SONET core, allowing for the distribution of DS-1, DS-3, and other circuit mode communications to several devices throughout a network. Again, this allows for multiple devices to share an expensive resource. Used by cellular carriers, Internet service providers, public utilities, and businesses, fiber optic multiplexer technology extends the reach and power of telecommunications technologies. Network management systems allow for system service and maintenance, and provide for security, fault management, and system configuration. 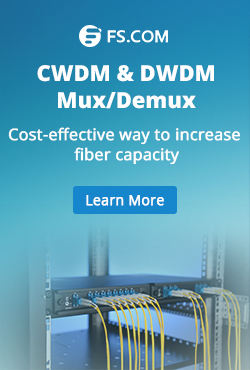 With advantages like lower costs and longer life expectancies, current fiber-optical networks are aided by improvements in multiplexing technology, and may provide light speed data transmission well into the future. Multiplexed systems also simplify system upgrades since numbers of channels and channel bandwidth is a function of the electronics rather than the transmission line or components. Fiberstore fiber optic video multiplexer adopt the international advanced digital video and optical fiber transmission technology, these fiber optic multiplexers are various models and can be custom made according to customers’ requirement. Our products can transmit from 1 channel video signal to max 64 channel video signals in different optional distances. They can be with optional audio channel and reverse data channel. Interfaces can be RS232, RS422 or RS485. Fiber optic ports are typical FC, with SC or ST optional. The fiber optic video multiplexers are single mode types and multimode types, used with different kinds of optical fiber lines.We provide some types of optical multiplexers, including video multiplexers,video & data multiplexers,video & audio multiplexers, video & data & audio multiplexers, PDH multiplexer, and we supply optical multiplexer in different channels,such as 1, 2, 4, 8, 16, 24, 32 channels. We supply stand alone type fiber optic video multiplexers and chassis type fiber optic video multiplexers,we also have custom service, many types of fiber optic products could custom in our company, all these products are with flexible design according to customer requirement, they are good prices and fast delivery. If you have parameters in the request for your fiber optic products, I think we can offer you all you need. This entry was posted in Video Multiplexer, Wiki and tagged digital video multiplexer, optical multiplexers, PDH Multiplexer on August 30, 2013 by Admin. Fiber-optic-based video and audio multiplexers are designed specifically for pro A/V and broadcast applications. Video Multiplexers is usually applied in video area, especially for Security defensive system. A video multiplexer, also called mux, includes digital video transmitter and receiver, is a device that put recordings of signals from multiple security cameras on one cassette. It handles several different video signals simultaneously. Video multiplexers can split a monitor into various display areas and vice versa, combine output signals from several cameras to a single monitor. It can be used as a stand-alone video processor to control various types of video views directly to a monitor and/or in conjunction with a VCR surveillance recorder. They can also provide simultaneous display and playback features. Some video multiplexers allow for remote access. They combine the best features of switchers and quads. 1. Putting the camera signal on a video channel that is accessible to your television. 3. Closed circuit television (CCTV) and video surveillance applications because a video multiplexer can split a monitor into various display areas. 5. Various media and broadcasting applications. How to Choose Video Multiplexer? Video multiplexers come in a variety of configurations and features that conform to certain quality standards. The features may differ in quality of resolution, channels, refresh times, weight, power consumption, etc. 1. A time and date stamp that lets you know when any recorded activity took place. 4. Capability to be used with your computer software. 5. Use with either color or black-and-white cameras. Multiplexers are described as simplex or duplex. This description indicates the number of multiplexing functions they can perform at any one time. Simplex multiplexers can perform only one multiplexing function at a time and will show a full-screen image, whereas duplex multiplexers show split options while continuing to record because it has two multiplexing processors in the same unit. Thus, a duplex multiplexer can display multiple cameras at the same time while multiplex-recording those cameras. Triplex multiplexers add a third multiplexing processor that has the ability to view live and recorded video on the same screen at the same time. Quadriplexers, or quads, use four camera connections per monitor. Quads can split the screen and display all the four cameras simultaneously. This means that the images are compressed and the image resolution may be low. In comparison, a multiplexer records each camera individually; thus, no loss from compression will occur. This is because when the output of a multiplexer is connected to a recording device, all cameras are individually recorded in sequence. FiberStore supplies complete video surveillance systems, including Video Multiplexers, Video Data Multiplexer, Audio Video Multiplexer and video Audio Data Multiplexer. We supply video multiplexer in different channels, such as 1, 2, 4, 8, 16, 24, 32 channels. The Audio Data Video Multiplexer is ideal for a wide range of multiplexing and remultiplexing applications including Broadcast/Studio, CCTV audio and Professional AV applications. This entry was posted in Network Solutions, Video Multiplexer and tagged Video Audio Data Multiplexer, Video Audio Multiplexer, Video Multiplexer on July 24, 2013 by Admin.